Taranta offers a variety of cooking classes that meet every party’s specific needs. From tours of the historic North End of Boston to scavenger hunts and beyond; each class learns the basics of Italian cooking. Whether you’re hosting a corporate team building event, holiday party, or gathering with friends, we can guarantee a one-of-a-kind experience. Cooking classes consist of preparing delicious food from scratch in a fun and engaging setting. Groups are divided into teams that will each prepare one course of their meal, and each team is directed by a visiting chef. These classes are an excellent team-building activity and entertainment. Our Cooking Challenge involves a scavenger hunt through the North End markets. Participants are split into teams and given a set of clues that help them locate ingredients. They then visit traditional stores and interact with local merchants as they try to solve clues as quickly as they can. Arrangements are made with store personnel, who will be expecting the group and will help them with their needs. Once the items are collected and the group returns to Taranta, a guest chef will verify that they’ve completed the list. If the ingredients are not correct, the group must return to the markets. Once each group has returned, a hands-on class begins. 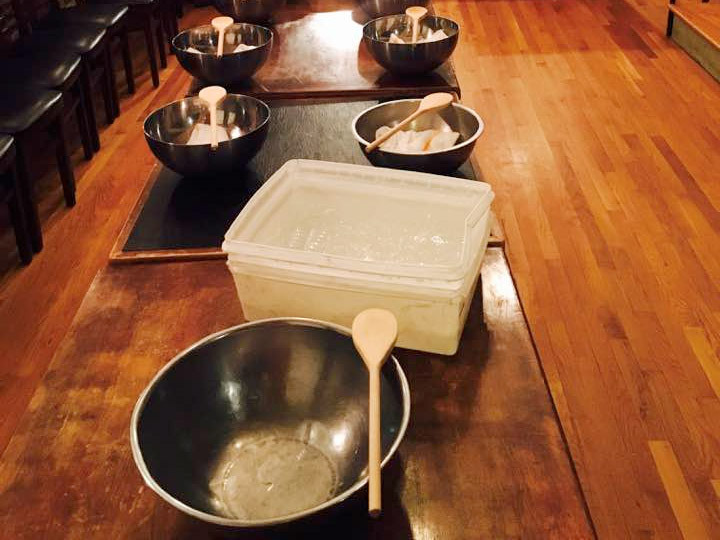 The Cooking Class and Tour is an immersive North End experience. While half of the group is preparing food under the direction of our guest chef(s), the other half is visiting the North End and its markets under expert guidance. Groups then switch, and the second half of the meal is prepared. Finally, the entire group enjoys their culinary creations together in a private dining room. Cooking classes are booked on a first come, first serve basis. They are subject to space and date availability and must be booked at least one week in advance. Food prep takes between 1 -1.5 hours, after which participants are seated to enjoy their meal. Please plan to arrive 10 minutes prior to your scheduled start time. Restaurant buyout options available for large groups. For more information, call (617) 720-0052. Inquiries may also be submitted through our contact us page. Cooking class, cooking challenge, and cooking class and tour events are managed and produced by Il Cottechino DBA Learn, Cook, and Taste.